Arty opens a window into his past by releasing a song he started years ago as a free download - ‘Night Like This’. The first Insomniac/Interscope records signee has put a hold on working on the finishing touches of his debut album to apparently give away this track as a thank you to his fans for all of the support over the years. The track has only seen the light of day in Arty's sets but now it is available for all. 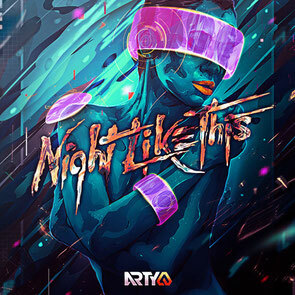 Originally premiered on Billboard, Arty's ‘Night Like This’ is an ethereal progressive track that portrays where Arty came from musically. On the track, he merges airy atmospheres, simple, yet powerful, piano melodies and progressive grooves.